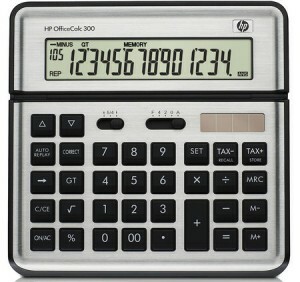 HP has introduced three new calclutaors for three different purposes,but all of these three do the same thing “calculate” .First is the HP SmartCalc 300,second HP Easy Calc 100 and the third one HP Office 300.Lets see more of these calculators. 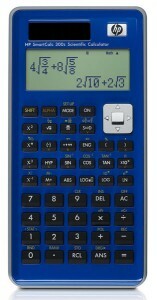 This calculator is for students,to do there difficult math problems.The display is TFD (text book display) which allows to see the question as you see them on the paper.It has 249 built-in functions and energy-wise solar power. 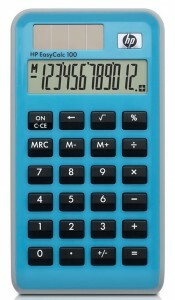 This is for doing basic math calculations.Its looks very appealing and comes in different colors.It has solar power feature with backup battery and has auto power-off. This one is perfect for your office desk.It is simple yet very affective,stores your last 105 inputs for your convience if you have to re-write a same expression you have written before.It also has solar power with backup battery.